Webmaster’s Note: Building plans for Burt Brokaw’s record breakers – click here! If you want to set a US carrier record, what do you have to do? Simple! Score the most points you possibly can in a flight, and at any one time the guy or girl who has currently scored more than anyone else has ever done is the record-holder – it’s that easy. There are conditions that must be met of course: the attempt should take place a a suitably graded contest meeting (not your own back yard, I guess!) and there must be the right number of Timekeepers, correct deck and so on. If you’re interested in the US rules and record breaking, here’s the link to our new “Best of the US” page. Here’s a look at the US vs UK differences in Carrier flying: in the US, they fly Classes 1, 2, Profile, Sportsman, SiG Skyray, Nostalgia (Class 1, 2 and Profile) and Dot15, whereas we fly just Basic and Class 1! There’s also a US NorthWest Sports .40 class that’s not recognized by the AMA, and there may be other local classes too! The US CLASS 2 is exactly the same again except that engines must be sized between .40 and .65. The top engine size limits of US Class 1 and the bottom of class 2 are very accurately defined to four decimal places, so you cannot fly one plane with the same .40 engine in both classes – although often both events are flown intermixed (aggregated) to maximise the use of the deck. There’s no equivalent in the UK – Class 1 is capped at .40 engines. The US PROFILE class is certainly not the same as EU/UK BCD! It allows line-sliders and a 60 degree AoA rather than our BCD 30 degrees AoA and no moveable aerodynamic aids, which of course makes a difference in the favour of the American pilot. However, our BCD rules give EU flyers an advantage in allowing ANY engine size at all – your webmaster may currently be leading the way on this with a Webra Speed 61 powered MO-1, although most other UK fliers use engines in the .35-46 range. Our American chums are actually restricted in Profile engine choice to front induction two-strokes with a maximum capacity of .36 (or .61 for four-strokes) – the same limit as US combat, which has resulted in some hot combat engines acquiring throttles for this event (e.g. Nelsons). The US SPORTSMAN class is the nearest to our BCD, mandating profile models with only elevator, throttle and hook moveable in flight. This and the other classes are described on our our new “Best of the US” page. 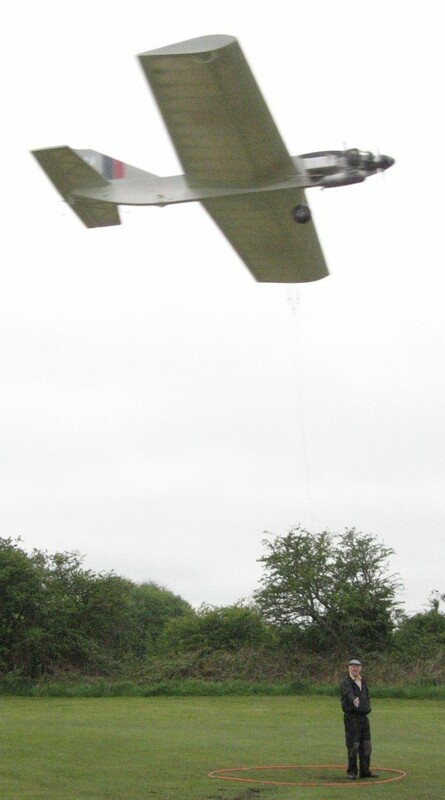 For 2014, the UK is also encouraging a new class for WW1 biplanes that actually did deck landings and take-offs: where the original did not use arrester wires, neither can the models! What is a Competitive Flight? In the UK Nats Class 1 event, Jan also triumphed with 324.90 with his electric MO-1 (picture at the end of this article) while the three other fliers recorded scores of 250.40, 295.20 and 301.70, so anything over 300 in UK/EU Class 1 is very special indeed. 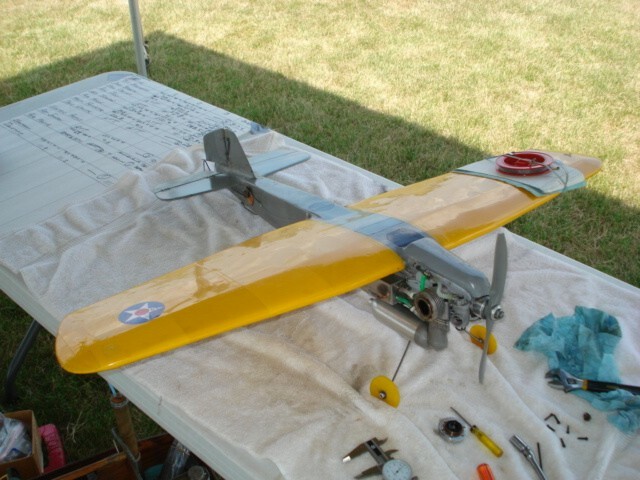 In the US Nationals, Class 1 was won by Eric Conley with 488.7 points, followed by Burt Brokaw with 481, but are the US weather/model/pilot combinations THAT much better? 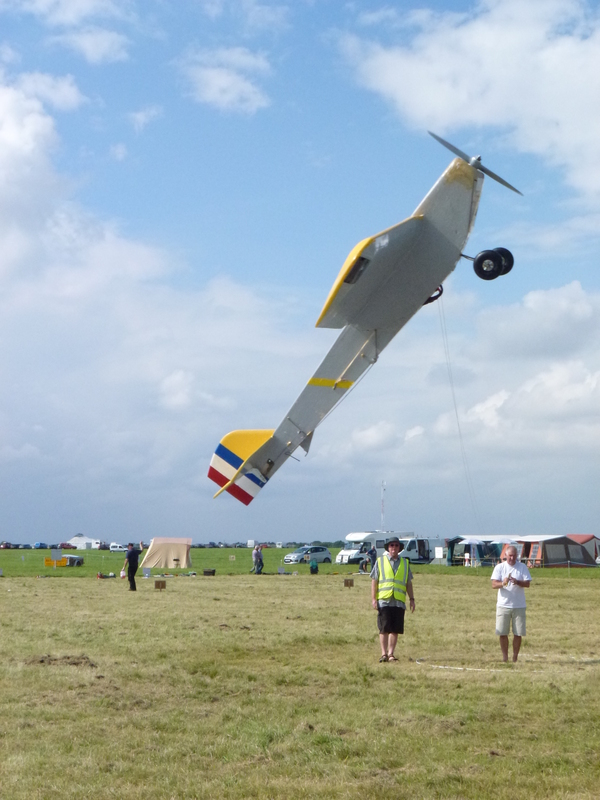 Looking now at the US big-engined models, in Class 2 at the US Nats, Burt Brokaw flew his Class 2 Martin MO-1 into the record books with 522.7 points, although his engine was only just above the lower limit, being a .45 (admittedly a Nelson!) so theoretically not radically more powerful than a European Class 1 model – and no tuned pipe! 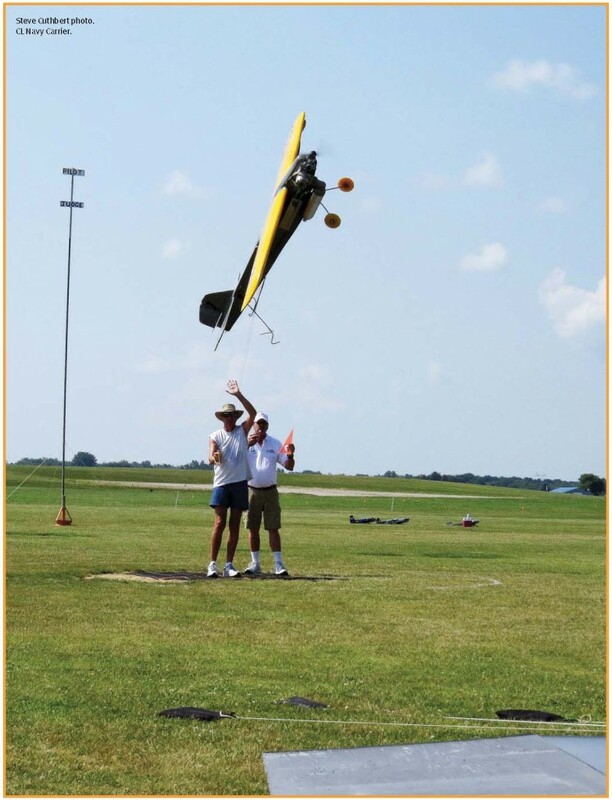 The pictures below were taken at the US Nationals during Burt’s flight: if you logged in recently, you’ll see that the right-hand shot has now changed – following a very polite note from Bill Calkins today, who explained that I’d got the pilot’s identity wrong, I made some rapid changes! Bill said: “On your record breakers page, Burt Brokaw did break the record for Class II carrier at the AMA Nats. I was the Event director and also the Center judge in the photo you have of him. As event director I was the one who tore down his engine for measurements. The next photo is actually Ron Duly flying a different airplane!” Thanks for setting things straight Bill, and apologies to Burt and Ron – but on the plus side, it’s great to know that the top guys in the States browse this site! The new shot “in-flight” is also by Steve Cuthbert, whose rights are fully acknowledged. “Here’s a photo of the Class II MO-1 during engine inspection at the Nats this year after breaking the AMA National record for Navy Carrier Class II Open with a score of 522.7. The previous record of 517.9 had stood for 13 years and was set by Pete Mazur on Nov 5, 2000. 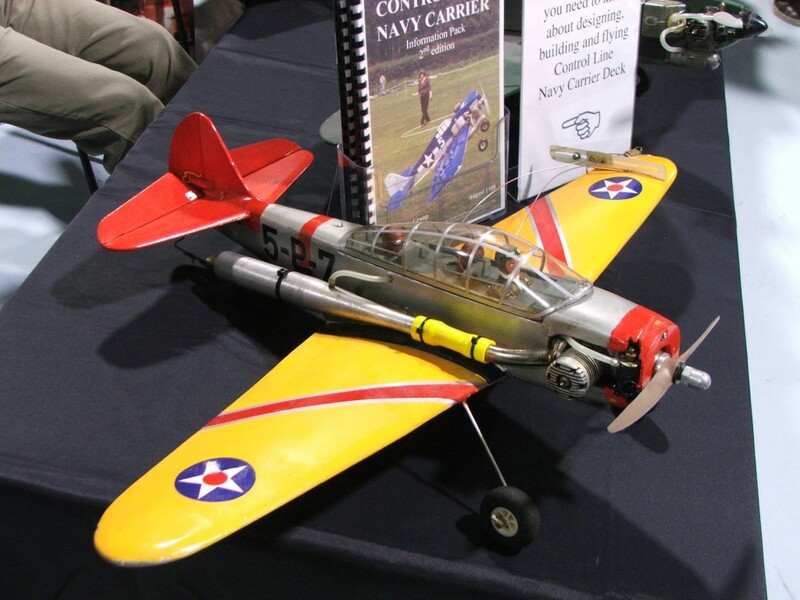 This model was designed by Pete Mazur and is the same design that he used to set the previous record. However this model was built by Bill Melton. After Bill passed, Eric Conley purchase the model from his estate. After flying it Eric told me that it must have been one of Bill’s experiments that did not work out because it was almost impossible to fly in slow flight. Since I did not have a class II model, I told him that I would like to see what I could do with it so he gave me the model. After flying it I could see what the problem was. Whenever the elevator was moved it simultaneously moved the throttle and likewise when the throttle was moved it simultaneously moved the elevator making it impossible to accurately control the model in the hang. I ended up gutting it and putting in a new control system, a new slider and new slider release mechanism, and a new fuel tank, all of my own design. One record is never enough!! 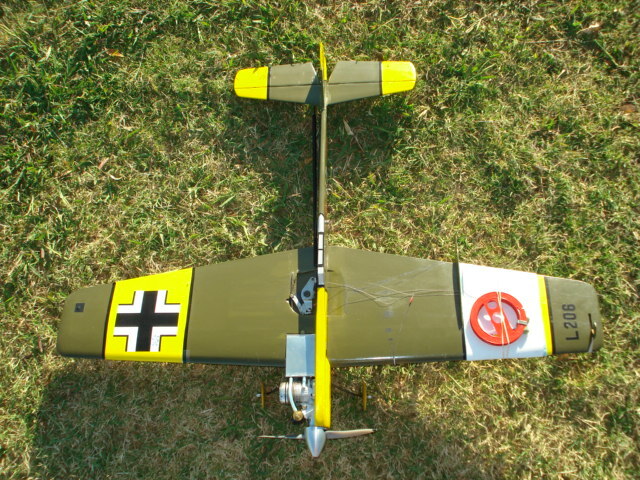 “Here’s a picture of the BF109T that I flew at the Marschinke Memorial contest in Tucson, AZ in September of this year (2013). It set a new AMA Profile Carrier Open record with a score of 417.1. The previous record was 391.5 which was set by Pete Mazur in 2001 I believe in Phoenix at the annual Carrier Plus contest. 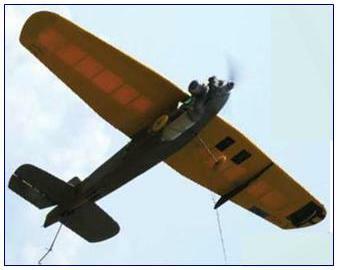 This model was designed and built by Eric Conley and has a wingspan of 41 inches with wing area of 306 square inches and weighs 48 ounces. Power is a Nelson big block.36 with tuned muffler which requires 10% nitro fuel. High speed time was 18.095 seconds for 99.4 mph and slow speed time was 6 minutes 15.835 seconds for 4.8 mph. The equivalent slowest seven laps at the 2013 UK Nats was by Jan Odeyn, who clocked just over three minutes for a speed of 9.8 mph, which is a very impressive score under BCD rules. In the fast lane, the 99.4mph achieved on Burt’s fast seven laps (taking a fraction over 18 seconds for 2.57 seconds a lap) is getting into out-and-out Speed competition timings! Assuming that all fast UK flights were made on 60′ lines (and all US classes except dot15 use 60′) the fastest equivalent BCD flight in the 2013 UK/European season was by Dave Cowburn’s U2 at the UK Nats, taking 23.3 seconds to clock 77.2 mph (3.3 seconds per lap). Dave’s U2 is seen here in practice at the 2013 Barton Bash – Shhh – it’s hush-hush! 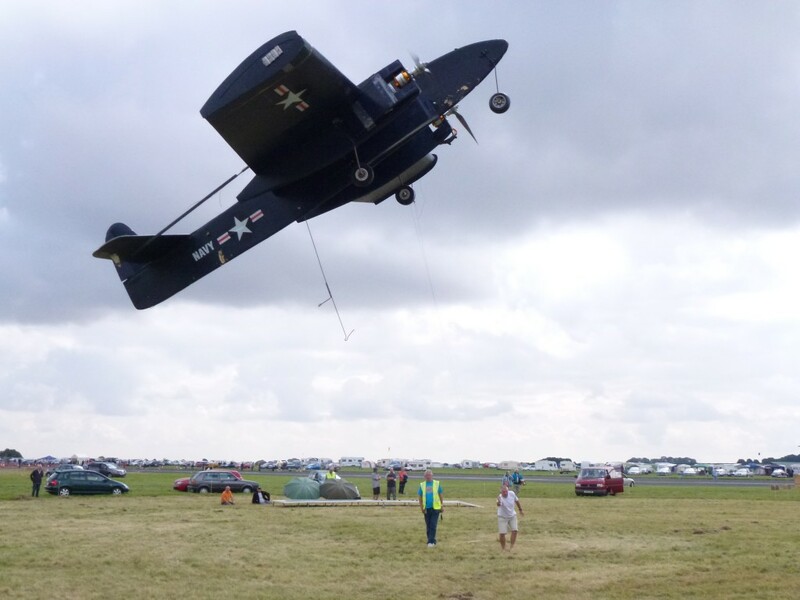 For you MO-1 fans, we’ll finish with Jan Odeyn’s electric Class 1 Nats winner, and your webmaster’s over-engined and under-piloted BCD version – the fastest MO-1 in the UK if nothing else! As Andy Housden (“Mr Carrier-Deck UK”) once wisely said to me: “There’s a limit to how fast any plane can go – that’s zero seconds for 7 laps! – but effectively no limit on how slow you can go, so why look for more speed in the fast rather than go for less speed in the slow! ?” There’s a great deal of truth in that, but I guess that when you’re “flying for the record” EVERY second counts, fast or slow…that must be Burt’s view. Whether or not anyone outside the US will ever get into breaking records like Burt Brokaw, the most obvious conclusion we can draw from the incredible competition and record-breaking achievements of the top US and EU/UK pilots is that Carrier flying is one of the most fascinating challenges available to the control-line modeller. 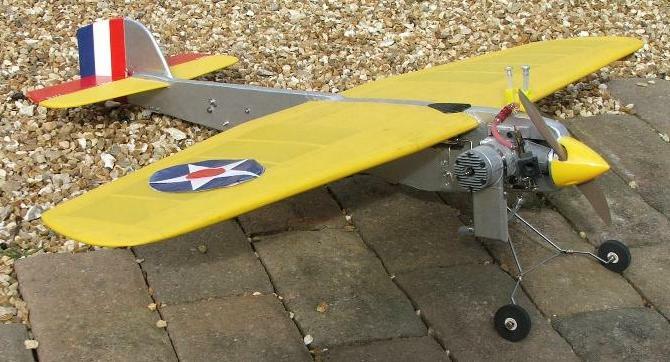 Whatever the difference is between your fast and slow flights, whatever your prototype, and however complex its systems might be in Class 1, however many times you flame out or ditch, every flight requires concentration and skills that are at least as demanding as any other C/L discipline – and what’s more, it’s a lot of fun!